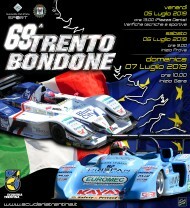 The Trento - Bondone race is a competition that prides itself on its long history. The opening edition took place on July 5th, 1925, but back then, as the local newspapers report, it was mostly a "timed field trip for cars and motorcycles". In fact, 16 motorcycles, 2 motor driven bicycles and 11 cars participated. The winner of the latter category was Ruggero Menestrina, an engineer, who past the finish line in Vaneze in 21' and 57", at an average speed of 35.352 km/h. The success of the competition was such that the Automobile Club's managers of Trento decided to plan it also for the following year; however, they shortened the track's length significantly and set the finish line in the suburbs of Sardagna. Slowly, one step at a time, each year the race grew both in importance and in participation. The wars stopped its ascent, bringing about dark years during which the race was halted, but only temporarily. In fact, the Trento - Bondone race came back in full swing in 1950 and its winner was Salvatore Amendola, in what would become one of the most romantic sports events in Trentino: the "Stella Alpina", a tourist attraction high speed motor racing event, in which the climb to the Bondone represented a timed and demanding last stretch. From 1951 to 1955 the race was even held in two occasions: in springtime, as a standalone challenge, and in summertime, as the last stretch of the Stella Alpina, which in 1955 ended its lively yet short life cancelled by the "boom" of the car tourism, which could no longer allow closing down the spectacular Dolomites' itineraries travelled by the cars participating in a race. Starting from 1958 the Trento - Bondone stepped into the Olympus of official international races, earning the highly sought title of valid race for the qualification to the European Championship in the Mountains, which everyone, including technicians and drivers, described as the most beautiful and demanding among the hill-climbing European races. It was back then when the race became famous: name markers joined in (Porsche, Ferrari, Bogward, Abarth, March BMW, Lola BMW) and year after year the challenge became an event of growing importance. In the '60s, epic duels took place among the hairpin bends of the Bondone, year after year new records were broken and in 1970another "first time" occurredxthe only victory in Vason up to that point by a driver from Trentino: Antonio Zadra, who won the race in 11'43"47. The '70s were the years of glory of legendary driver Carlo Nesti: in 1975 he conquered the first out of six consecutive titles to which he also added additional two victories in 1990 and 1993. 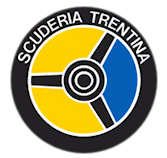 These were also the years of Scuderia Trentina's rebirth, which, after seven years of forced halt (from 1981 to 1988) boosted and brought new glamour to the competition. From 1994 to 1996 the unbeatable champion was Pasquale Irlando, from Puglia, who in 1995 was able to break Nesti's records while in 1996 was the first to break the wall of the "10 minutes" with a time of 9'53"80. In 2001 fortune smiled on Franco Cinelli, from Tuscany, in 2002 the winner was Andrea De Biasi, in 2003 Pasquale Irlando (for the sixth time), in 2004 once again Franco Cinelli and in 2005 Denny Zardo. Since its 2006 Edition, the Trento - Bondone has been listed into the European Championship, a qualitative leap allowing a record number of registrations. 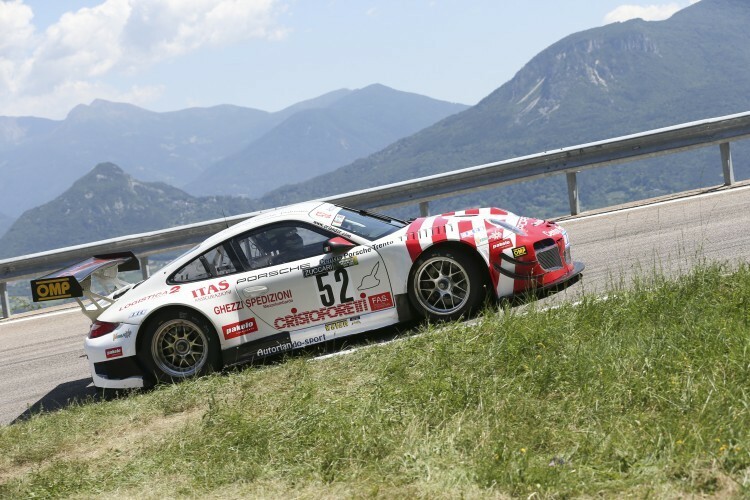 That edition was won by Simone Faggioli, the first driver from Florence on the race of Trentino, who had to wait 4 years to repeat the experience. 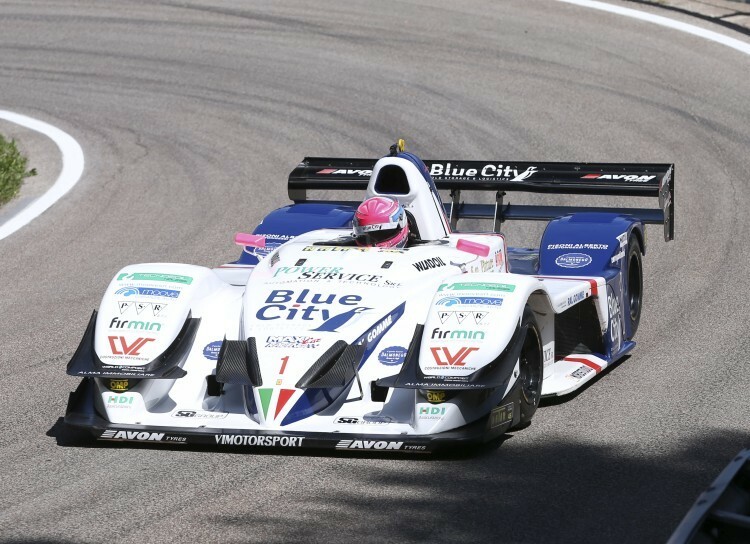 Lionel Regal won the two following editions (2007 and 2008), being able to establish the new race record, and then in 2009 ?without the French pilot ?David Baldi was the winner, and Italian Champion too. In 2010, once again, Bondone crowned Faggioli and this time the driver broke the speed limit of Regal (9'32"65 with an average of about 109 Kmh). Unfortunately the French could had never had the possibility to reply, as Lionel died in an accident few weeks after Trento competition. The same year, in December, the Scuderia Trentina had the great honor to host the official awarding of the European Championship, so becoming the races continental capital for three days. 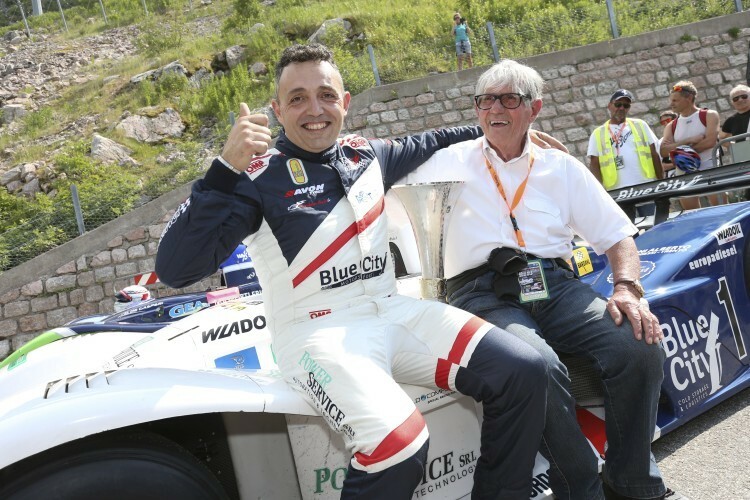 In 2011 Simone Faggioli triumphed on Mt Bondone for the third time entering powerfully in the hall of fame of hill climb races, thanks to his second record (9'23"19), breaking the wall of the average speed of 110 Kmh. Being held in very high temperatures, the edition 2012 was marked by the Tuscany champion: Simone could almost get closer to his record, outdistancing of 24 seconds his teammate Camarlinghi and an extraordinary Christian Merli, capable to remain under 10 seconds driving the small Radical. And then "the very best" of 2013: Simone Faggioli wins the race for the fifth time and establishes the new record 9'20" 48. Second position on the podium goes to Christian Merli with his best time ever (9'28"51) and third place to the Czech Milan Svoboda (Lola 99).